Group pledge, which contains 16 x Multiuniversum (main game) and 16 x Project: Cthulhu (Expansion). 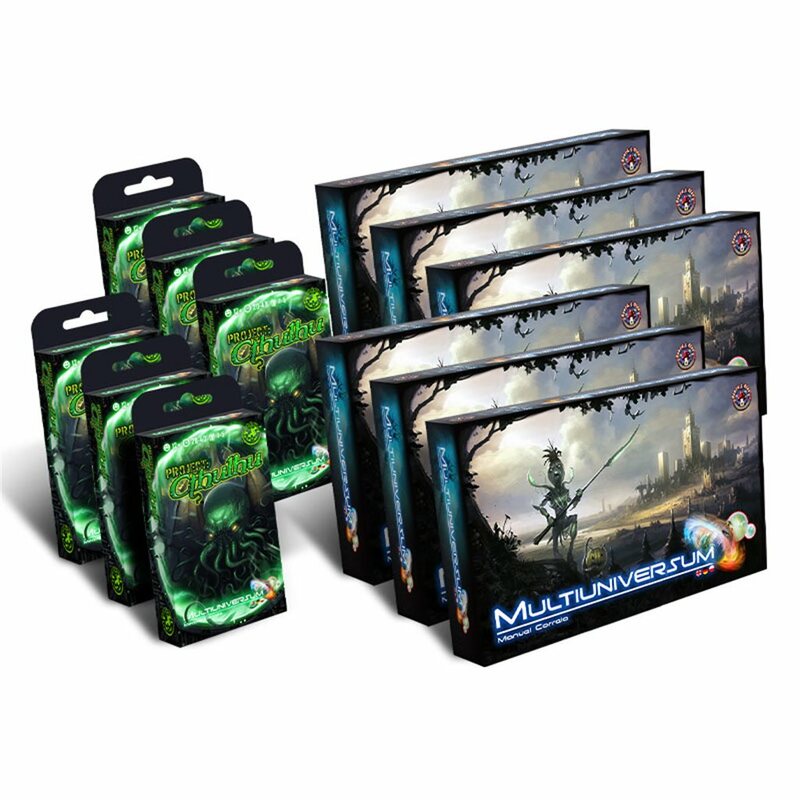 16 x Necronomicon - Multiuniversum Project: Cthulhu expansion with all its contents, including all related unlocked stretch goals + Multiuniversum - main game. This is the whole set (Necronomicon) x 16!